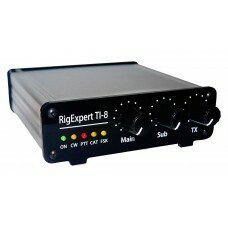 RigExpert TI-8 is a device for operating phone, CW and digital modes using personal computer. All in one through a single USB port! To connect the TI-8 to your transceiver, you will need a special cable. Fortunately, pre-built cables for many transceivers are available. 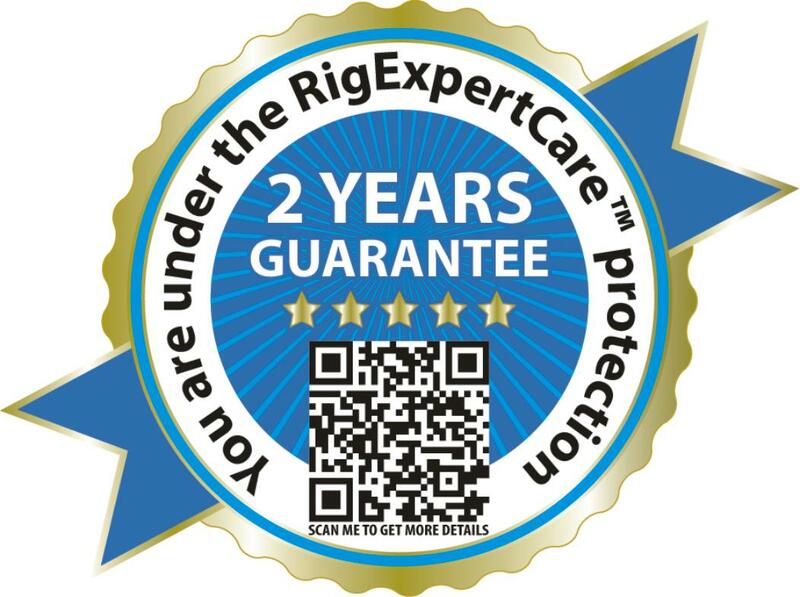 Moreover, you may construct a cable yourself, using the diagrams published on our website. Analog audio interface is a connection to transceiver audio output (external speaker connector or line output) and transceiver audio input (microphone connector or line input). Audio interface enables operating digital modes, recording and playing voice, as well as other useful functions (such as measuring levels of a signal from the air) by using a computer.Input (two channels) and output volume levels are adjusted by potentiometers on the front panel of the device. CAT (Computer Aided Transceiver) system provides control of transceiver frequency, operating mode and other functions by computer software. Normally, modern transceivers have serial (with various signal levels) link providing CAT interface.In RigExpert TI-8, CAT interface port is seen as a COM port by computer software. FSK (Frequency Shift Keying) is a popular method of transmitting digital messages over radio primarily used in radioteletype (RTTY) mode. Most transceivers provide FSK modulator feature to make the RTTY signal stable and clear.A separate COM port is assigned for the FSK output when using RigExpert TI-8. 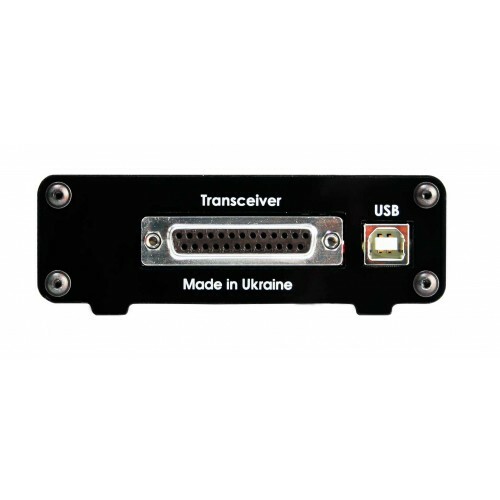 Transceivers provide PTT (Push To Talk) and CW (Continuous Wave) keyer inputs to allow setting the transmitter on or off.In RigExpert TI-8, PTT and CW outputs are assigned to the RTS and DTR lines of a separate COM port. Built-in RigExpert implementation of WinKey.WinKey is a Morse keyer that is designed to attach to a PC’s serial port and provide accurate transmitter keying from a Windows based ham radio software. Some software, such as EchoLink, requires the interface to provide a squelch input to detect if the radio channel is busy.In RigExpert TI-8, the squelch input is assigned to the DCD line of the COM port used for PTT and CW outputs. RigExpert TI-8 is made in Ukraine.